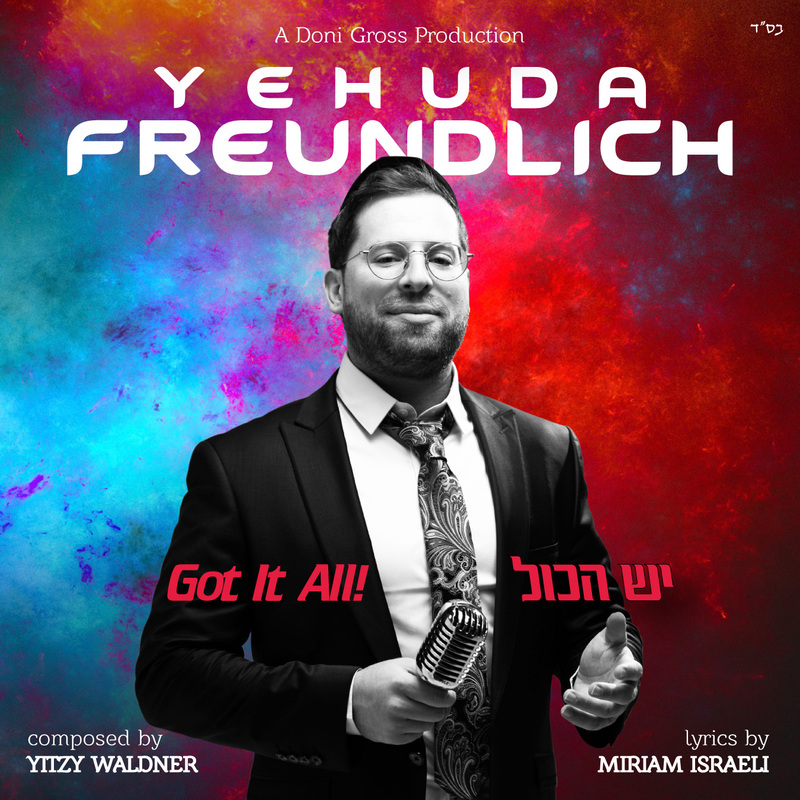 Positivity is the name of the game in this upbeat debut single from Yehuda Freundlich who has been performed at simchos throughout North America. Hoping to imbue people with a much needed message of optimism, Freundlich plans to inspire others with Yesh Hakol, a Hebrew/English Yitzy Waldner composition with lyrics by Miriam Israel, produced and arranged by Doni Gross. Enjoy! rom there Yehuda contacted famed producer and arranger Doni Gross to help take the song to the next level. Once Doni heard the potential of the song, he immediately knew they had to contact famed lyricist Miriam Israeli to portray lyrically what Yitzy had done musically. The result is a song of positivity, with lyrics in both Hebrew and English which are sure to get you dancing. Going forward let’s focus on what we HAVE because needing more is having less.